I will admit that I don't watch American Idol like I use too, but this girl Candice Glover has me interested in the show again. For the life of me I can't understand why she didn't make the show last year. It just supports the conspiracy theory that the show is rigged because you can't tell me that there is a singing competition that this sista cannot enter. This chick can SANG! 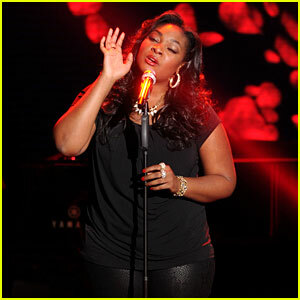 Candice Glover is the truth. This past Wednesday she performed, 'Lovesong,' by the Cure and not since Fantasia's stirring rendition of 'Summertime' have I been moved by a singing competition performance. I can't tell you how many times I've watched this performance. Girlfriend gave it her all and then some.